The fun is open 24 hours at this parking garage. New for this year. That means a total of 9 vehicles altogether. 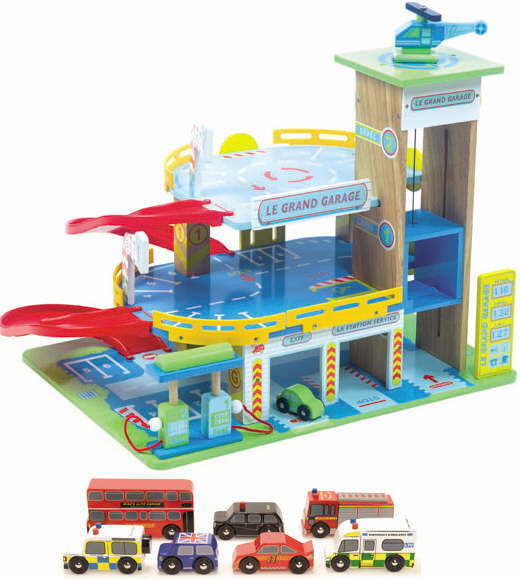 There is access to the ramps to the first and second floors, this deluxe playset can really "jump start" a child's imagination. Made from high quality materials and paint, this wooden garage is set to become a real favourite. Perfect traditional wooden toy for one child or up to four children playing together. Includes items as shown in picture.